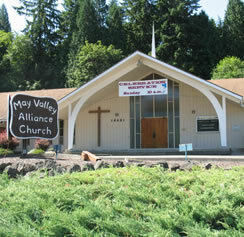 The Four Creeks UAC holds its regular meetings on the third Wednesday of each month throughout the year from 7:00PM-9:00PM at the May Valley Alliance Church located just east of the new Jay Berry’s on SE 164th and across SR-900 from Keppler Feed and Recycling in the May Valley area. Periodically the UAC also calls special meetings to focus on current topics of interest. The public is welcome and encouraged to attend all FCUAC meetings. Regular meetings usually have a theme and often involved invited guests or special reports from Committee chairs. What should you expect as a first-time visitor? First, relax. We’re all volunteers. We have an obligation to follow procedures but use them only to maintain an orderly environment. Next, recognize the sequence of events on the agenda is designed to let visitors leave as early as possible. The first item on the agenda, after any opening remarks by the President, is Public Comment followed by the Sheriff’s report. If your intent is simply to make a comment to the council, we attempt to allow that to happen at the beginning of the meeting and deal with more administrative matters and the special agenda afterwards. There are plenty of issues to be frustrated about and we want to hear the emotion behind your area of interest. However, recognize we walk a fine line between catharsis and moving forward. Don’t be offended if we limit venting. At their core, the UACs are about enabling citizen participation. As a result, FCUAC may sometimes take a neutral position on some of the issues it deals with. The main reason is because we respect the role local residents have over local matters. Having said that, there are other issues where the UAC will “weigh in” on a topic. It’s sometimes a fine line we walk and it will be a more satisfying visit if you don’t set expectations on the position the UAC might take. Some members do, however, have extensive experience in working with the county. You might find that, although FCUAC may not take the stand you want, members are willing to help advise you on the best way to proceed. We are not clones and there is, at any given time, great diversity of opinion among the FCUAC members. Some members are at war with the county while others subscribe to a different approach. Our attempt is to value this diversity. Don’t be surprised.